Wyclef Jean was shot in the hand ! 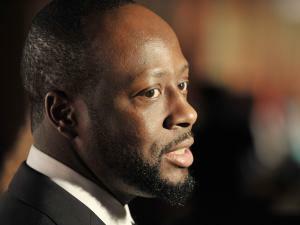 On Saturday, March 19, the hip-hop star Wyclef Jean was shot in the hand. The unfortunate event happened in Port-au-Prince, in Haiti, said his spokeswoman Cindy Tanenbaum. Being a native of Haiti, the star was there for supporting his friend Michel Martelly who is competing for the presidential post. Details about the accident are not known yet, as representatives for the Haitian National Police could not be contacted for any comments. The circumstances and the identity of the person who shot the artist remain a mystery for now. The presidential elections were initially scheduled in 2010, but they were canceled after the earthquake that hit the country in January last year. Wyclef Jean came on his native lands to encourage his friend Michel Martelly (also a musician) in his competition with a former first lady for the presidential office. Jean and Martelly performed together in a concert last week, in the same location he was shot Saturday. Jimmy Rosemond, who accompanied Wyclef Jean in Haiti also had something to say concerning the events: “It is clear that enemies of progressive change in Haiti are behind the shooting of Wyclef, those that don’t want to accept that a monumental change is inevitable for the betterment of the Haitian people.” An interesting fact is that last year the ex-Fugees member wanted to be one of the presidential candidates, but after the Haiti’s electoral council refused him, he decided to focus on music. He announced his plans to release an album this year, which will be called: “If I Were President: The Haitian Experience”. Previous ArticleTiger Woods has a 22 years old new girlfriendNext ArticleStates require online sales tax collection !